This is not the first time that I mention the fact that Staedtler pencils are quite common in the UK1. 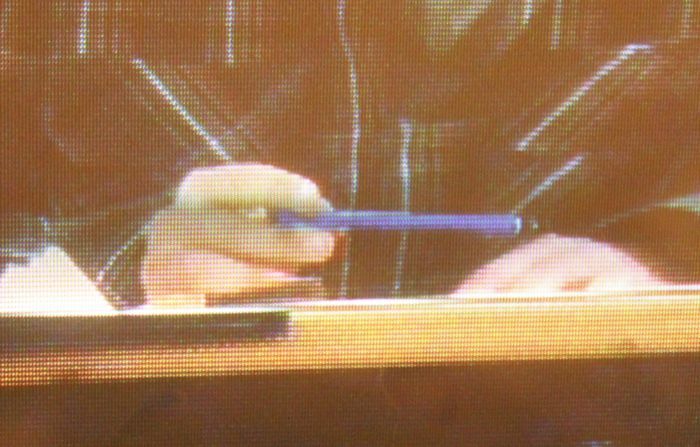 Today I want to show you some examples of Staedtler pencils seen on TV. 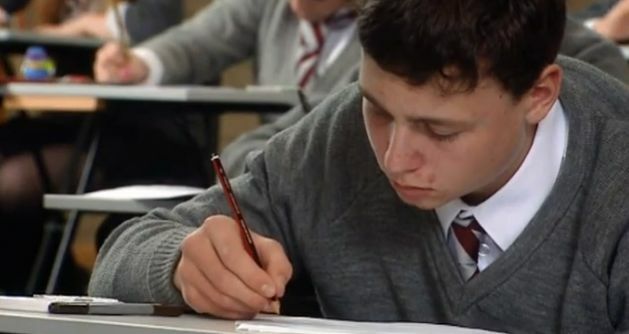 In the UK school is about to start soon, so there’s even Staedtler advertising on TV these days. The examples shown here are however not part of an advertising campaign and I believe that Staedtler pencils have just been used because they are quite common. I apologise as nearly all picture shown have been taken from TV series. As usual, all pictures not taken by myself come with a note explaining where they are from or who owns the copyright. Let’s start with real, i.e. non-fictional, people using Staedtler pencils. I’ll skip photos of Stephen Wiltshire using Staedtler pencils. One reason is that you might remember seeing him using a Staedtler pencil from a blog post from March 2010 about the Staedtler Tradition. The other reason is that about a year after the blog post he started making advertising for Staedtler, so any new pictures showing him using Staedtler pencils would arguably be because of his contract with Staedtler, not because of the omnipresence of Staedtler pencils. I have seen him using other pencils in the past, I assume he is only or mainly using Staedtler products now. 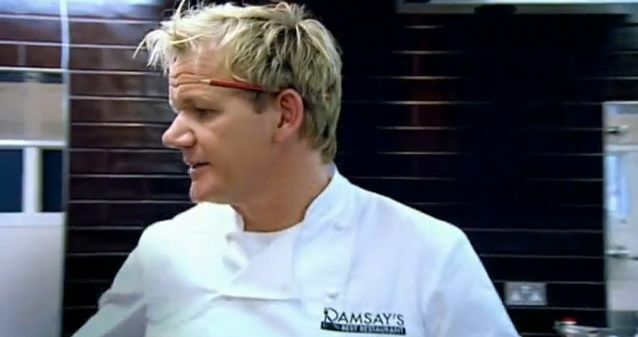 Gordon Ramsay is a celebrity chef in the UK. 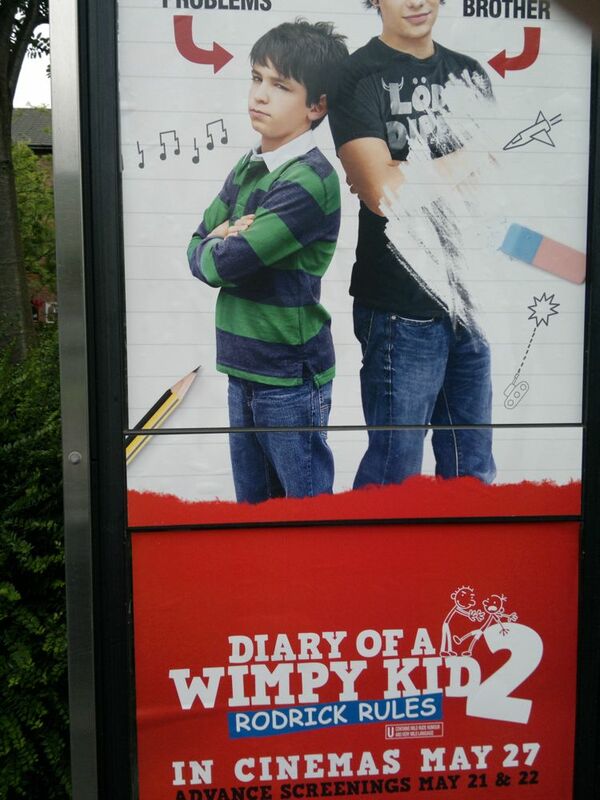 Since he has been mocked in South Park I assume he must be a celebrity in the USA, too – or at least be known there. Here are photos of him in an episode of his TV series Ramsay’s Best Restaurant, where a restaurant ten miles from where I live was competing. I first wasn’t sure whether this is a real Tradition 110 or one of those copies available in many shops, but during this episode there were some moments when the reflection of the writing on the pencil can be seen quite well. It is not a copy. 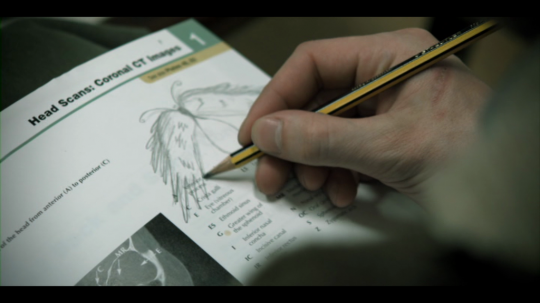 You can see Staedtler Tradition and Noris pencils in several school sketches in The Armstrong and Miller Show. Staedtler pencil’s use in The Armstrong and Miller Show is not really surprising. They are common and also to some extent the archetype of a pencil. Staedtler’s pencils’ image as typical pencils means that you can see them often when an association with school is needed or in related advertising as in the example seen on the right. 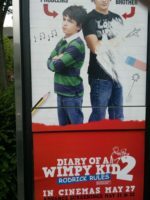 The advertising, probably created specifically for the UK and Ireland, was on a phone booth. A Staedtler Noris can be seen, even though the film is from the USA, where the Noris is not officially distributed and not available. In the next example Harvey Nichols, a posh department store, used Noris look-alikes in their shop window to advertise perfume – I am not sure what the link between the perfume and the pencils is. Before I finish this blog post, a quick look at fictional characters outside the UK who use Staedtler pencils. 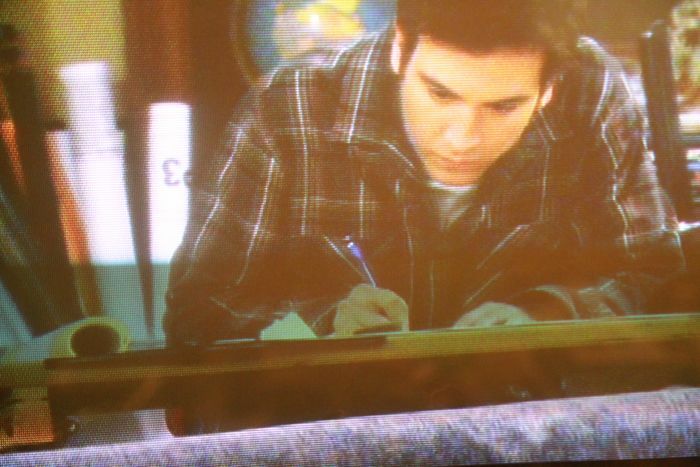 In the US-American TV series How I Met Your Mother the main characters, architect Ted Mosby (actor: Josh Radnor), can be seen using a Staedtler Mars Lumograph. Unlike the Noris and the Tradition, the Mars Lumograph is officially being sold in the USA. A fitting pencil: in the past the Mars Lumograph has been advertised a pencil for technical drawings and for engineers. I apologise for the poor quality of these photos. His second appearance in this blog …both times with a pencil: Daníel Sævarsson (actor: Jörundur Ragnarsson), one of the main characters from the …vaktin series and from the film Bjarnfreðarson, this time with a Noris in episode two of Fangavaktin. In previous blog posts the Tradition was written with lower case letters because this is how the name is printed on the current version of this pencil. I decided to capitalise Tradition from now on, but I will probably refrain from changing the spelling in previous blog posts. 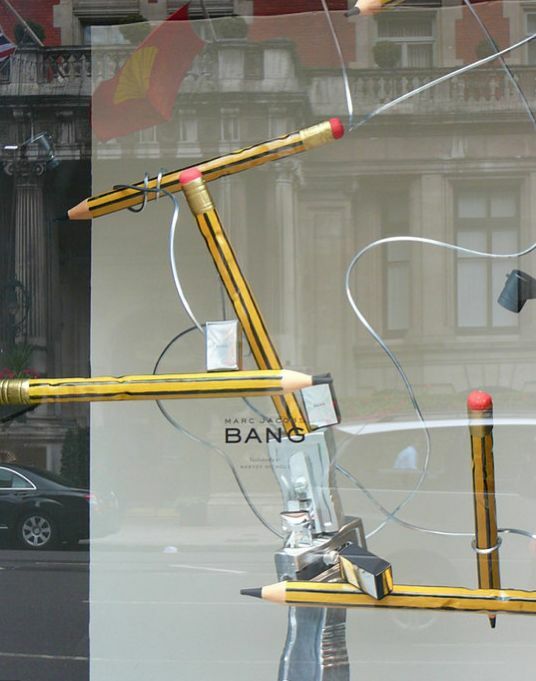 I would like to thank Mrs Schmitt from Staedtler for giving me permission to use Staedtler’s photo of the Harvey Nichols shop window. By the way, this is blog post 112. Quite fitting, as 112 is the article number of the rubber-tipped Staedtler Tradition.